Storage? Sorted. Pipel boosts your bedroom with a natural feel–and space for all your bits and bobs. Understated yet elegant, Pipel is made with a black-stained wooden frame. So classic, its simple shape showcases the natural wood grain and the woven rattan basket at its base. Storing away clutter has never looked so sleek. 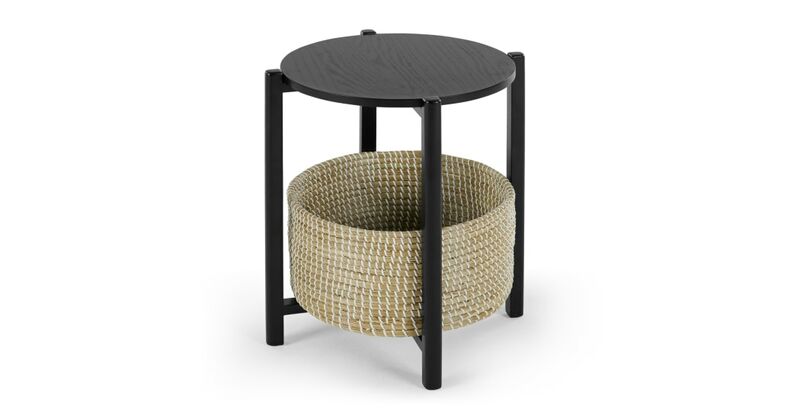 Fitted with a roomy woven basket, the Pipel bedside table is perfect for pieces you want to hide away or display.